January 12, 2015: In Haiti today is a day to mourn, but it is also a day to reflect on what we have learned as a result of the earthquake that destroyed the capital five years ago. At SOIL, the earthquake taught us how to respond quickly and compassionately in the face of acute suffering. It taught us to be flexible and responsive in our programming. Most importantly, it taught us about the fragile balance between serving those in need and creating dependence. In 2010 we watched in gratitude and awe at the outpouring of international support for Haiti. We honor the thousands of volunteers and humanitarians who dedicated their time and energy to Haiti in the aftermath of the earthquake, and we give thanks to the people around the world who contributed as they could to the rebuilding of a country that they had never visited. However, we have also been saddened to witness the disintegration of these humanitarian projects as the world’s attention has turned to other tragedies. And we are discouraged that the bravery and kindness of the Port-au-Prince residents affected by the earthquake has not been channeled into meaningful livelihood opportunities that could sustainably improve quality of life. Much of the aid that came to Haiti went towards programs that were exclusively designed as emergency response. Though these programs no doubt saved many lives, humanitarian responses are rarely designed to serve as the building blocks for development. Ironically, an influx of humanitarian aid can hamper true development by creating dependence on services that are temporary by design. At SOIL we have been thankful to be in a position to bridge the gap between emergency assistance and the creation of sustainable services. 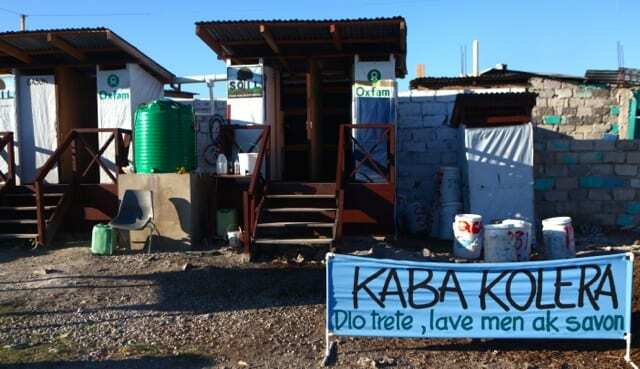 Our long-term presence in Haiti prior to the earthquake meant that we had the community connections, donor trust, and staff capacity to respond effectively to the emergency in January 2010. At the same time, our long-term strategic vision informed our emergency programs, ensuring that our intervention was creating structures that would serve as a springboard for sustained impact. This year, five years after SOIL’s emergency toilets started serving the displaced victims of the earthquake, they will be closed as the remaining camps are emptied. By year end, the last of the compost produced from those emergency toilets will be returned to the earth. With this ending comes an exciting beginning: launching a formal pilot of EkoLakay, our household toilet social business, in Port-au-Prince. As we redirect our resources towards creating social business opportunities in household sanitation provision, we are excited to take the first steps towards transferring our activities to the Haitian government and local entrepreneurs. As you are sure to see in today’s headlines, Haiti is a country where millions of dollars have been spent on unsustainable projects. It is a country where thousands of NGOs are scrambling to define their priorities based on the whims of distant donors, instead of responding to the needs of the communities they serve. It is a country where NGO-led interventions have sadly created an atmosphere of mistrust and disappointment, and a place where the provision of free services has driven communities into deeper cycles of dependence. At SOIL, we believe there is another way forward. In the coming years we are looking forward to transforming the nature of our organization, from one that relies on your generosity to provide services in vulnerable communities to one that creates and supports Haitian social businesses to meet the same needs. In the mean time, we look forward to updating you as we work towards a new future in Haiti, one no longer defined solely by the struggles of the past, and we’re so grateful for your support in helping us get there. 7 Replies to "Lessons from the Earthquake: Transitioning from Emergency to Development"
Same old story of ‘development’ and ‘aid’ serving the donor countries rather than those who are supposed to be helped. Glad to see the truth lifted up. 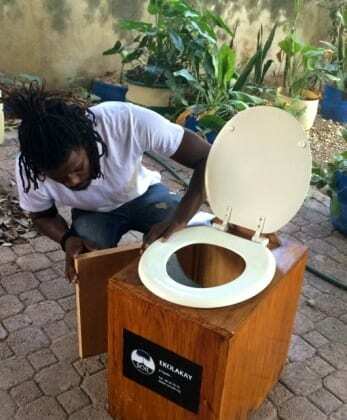 I hope that our (American) society can learn some lessons from Haiti’s development of human waste compost, we’ll be needing to do it too soon enough. I am SO proud of Sasha and the SOIL team for the incredible work they are doing!! I first found out about SOIL in 2013 while I was in Haiti visiting my daughter, Angel Hertslet, who at that time was the Partnership Facilitator for Hopital Albert Schweitzer in the Artibonite Valley. Both HAS (founded in 1956) and SOIL have proven that they are there for the long haul. They truly understand and are implementing Haitian sustainability by working TOGETHER with the Haitian people with an attitude of great respect. They are training and employing Haitians in all levels of their organizations and work side by side as equals. Thank you for your dedication and humbleness!! SOIL is one of the best examples of real sustainable development. Congratulations for all the work, but also for your vision to stand out of the crowd to really empower the communities you asset to become proactive to generate a better future. I think your work is very important. Please keep the good work. It has been heartening to follow your journey of love and practical solutions. Thank you all for your thoughtful actions …and shining a light on the way forward for NGO’s serving humanity in the aftermath of horrendous disasters. Stay strong and keep the light shining for true sustainable development.